Let’s start with a big question: what should a video game be? There are many who believe the purpose of video games is exclusively for entertainment, and that educational or “serious” games have no place in the world. Others still believe the opposite, that video games should operate in the same way that all art does, and that all statements are valid when it comes to artistic expression in games. That might be a slightly weighty question, but it does raise an interesting point. Many video games are power fantasies, placing you in the shoes of unstoppable space marines or intrepid explorers. Other games with a more artistic bent place players in the role of powerless or less active figures – survival horror or strategy games might be an example of this. 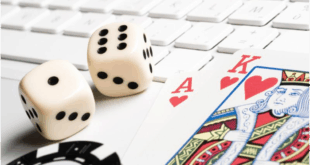 It is possible for a game to both make players powerless and still allow them to have fun, of course. 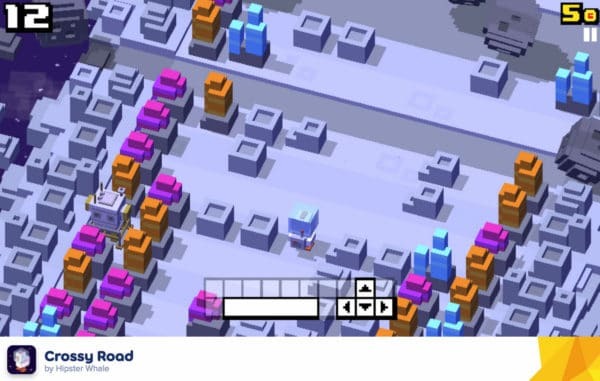 For an example, look no further than Hipster Whale’s excellent Crossy Road. 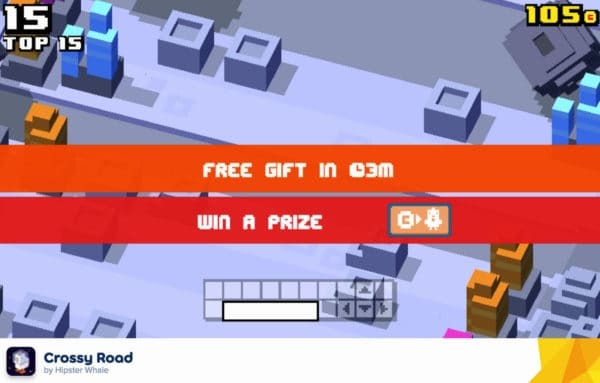 Based on the arcade classic Frogger, Crossy Road is a universally-loved piece of entertainment, constantly updated and augmented with new and exciting content. Its exclusive home on the web is Poki, so go play it there before we go on. Back? Great, isn’t it? Crossy Road is one of those games that doesn’t come around too often: a simple concept executed well and left alone. It doesn’t need any extras to make it a consistently enjoyable experience. Crossy Road is simply fun – unpretentious, enjoyable fun that never outstays its welcome because you get to decide how long its welcome is. 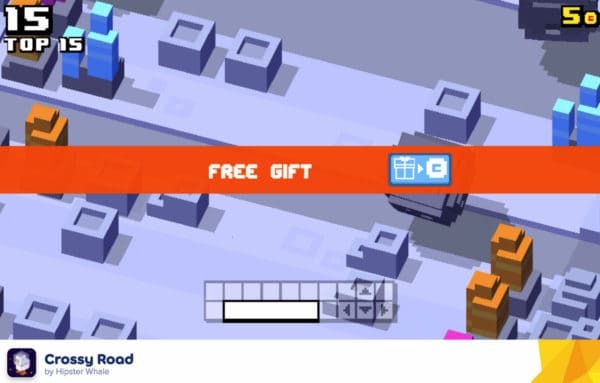 Recently, Crossy Road received a new update in the form of the Space level. This free update adds a bunch of new content to the game, including updated aesthetics for level geometry and obstacles, new characters to unlock and even an adorable new space helmet for everyone’s favorite chicken protagonist (apart from Alfred Chicken, of course). Perhaps Hipster Whale should consider renaming the game, since our cute little feathered friend is no longer crossing roads. Instead, he’s dodging massive asteroids as they sail past his head, jumping across drifting pieces of what might be broken-up spaceships, and bypassing indifferent robots as they regard him with curiosity, wondering what his quest might be. As in the original Crossy Road, his quest is, of course, to “get to the other side”. Hipster Whale is playing a cruel joke on the chicken and his cohorts, because it’s not actually possible to get to the other side in Crossy Road. Try as you might, you will only ever encounter more obstacles. That’s because Crossy Road is one of those endless games that rewards players with points and collectible coins rather than with development. The scoring system in Crossy Road is nice and straightforward, with none of that thousand-point multiplier stuff often seen in old-school arcade games. Instead, players will score a point simply by not being killed as they jump across each gap or hop to the next space, and scoring will end once the player dies. It’s a refreshing way to approach scoring that makes it easy to track where you are and where you’re going in terms of aiming for a better score. All of this is aided by the excellent web controls, which are simply mapped to the keyboard. These controls are the opposite of clunky, and it feels great to guide the little chicken through his astronomical journey with the keyboard. Sometimes, it’s necessary to perform slightly more complex movements such as jumping back or sideways, and the keyboard makes this easy so you can focus on gameplay. Crossy Road is a nice, simple little proposition, so there isn’t much more to the game beyond dodging obstacles and collecting coins. Those obstacles take different forms; sometimes they’re moving, sometimes they’re stationary and sometimes they’re sneaky little traps. Speed and positioning varies, keeping things interesting, and each run is random, so you can’t memorize locations (crafty, Hipster Whale). Collecting enough coins will net you the chance to unlock a new character. The Space update adds nine new characters to unlock on top of the original’s staggering amount of new faces, so you’ll be busy with Crossy Road for a long time if you like it. Perhaps the only criticism of the game is how simple and straightforward it is, but it’s very easy to see that as a strength. Crossy Road is uncomplicated, which will turn some people away and cause others to approach the game with more enthusiasm. 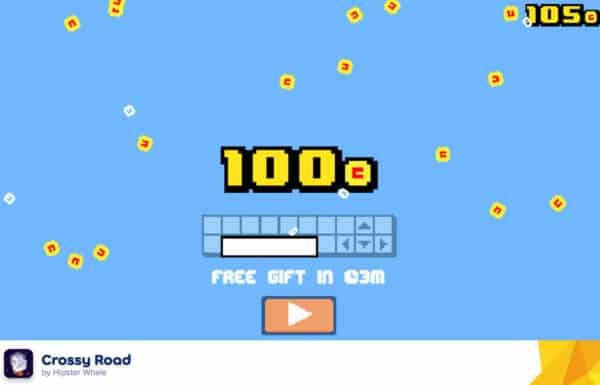 Its brevity makes it excellent for all comers; if you’re taking a quick coffee break, accompanying it with Crossy Road is a great idea, and if you’re setting aside some serious time on your day off then Crossy Road is a good warmup game. We can’t quite imagine anyone playing this one for hours and hours on end, but that’s only because it hasn’t been designed with that in mind. 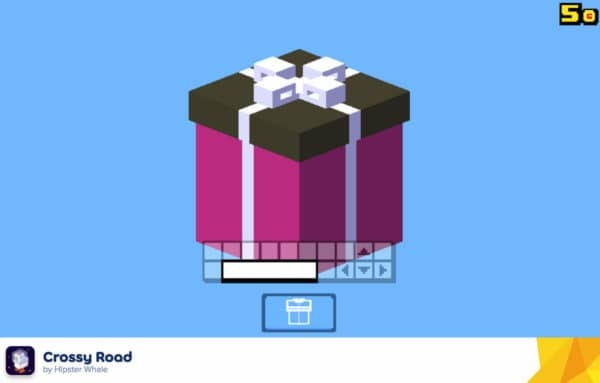 Treat Crossy Road as a substantial snack rather than a main course and you’ll love it all the more. Each run grants more coins, which gets you ever closer to that next character unlock, so play it in a short session, go get some food then come back to it. The beauty of Crossy Road is in its simplicity, its addictive gameplay and its well-researched, well-implemented core gameplay structure.